The Great White Housepanther prefers the Warmz. Brrrrrrrrrr! You made my whiskers shiver! 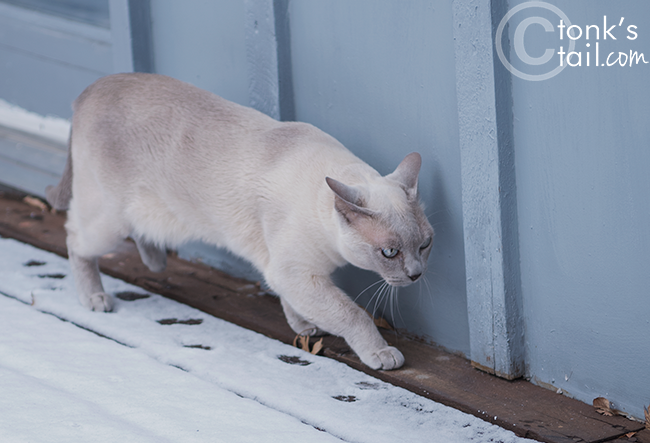 The white snow makes the beautiful subtleties of your fur stand out, Faraday! WOW! It's kind of fun out there for about ten seconds pretending we're snow leopards instead of house panthers but in the end - WARMZ win out! Yeah, my petite black panther would scratch to little bits anyone who tried to drag her out into that evil, wet, white mess. The Bayou Boys quickly decided the warmth of their beds beats the snow! Stay warm. I thought it was a snow leopard without spots. 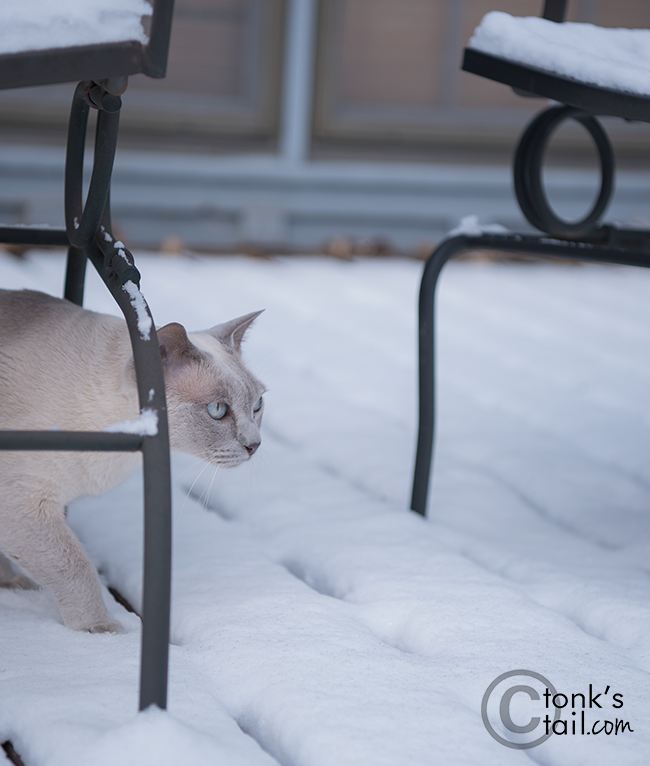 Kitties always try to avoid the snow. The great white Housepanther is brave and true and so-o beautiful! Did you get cold feet? I don't blame you, Faraday! My paws felt cold just watching walk through that white stuff. I'm cold just lookin at you. What on earth are you doing out there? Yikes! 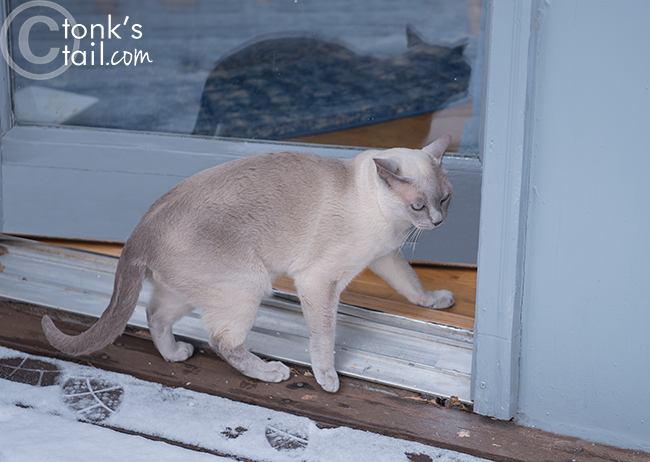 Go inside and warm up your feets, Faraday! OOH! 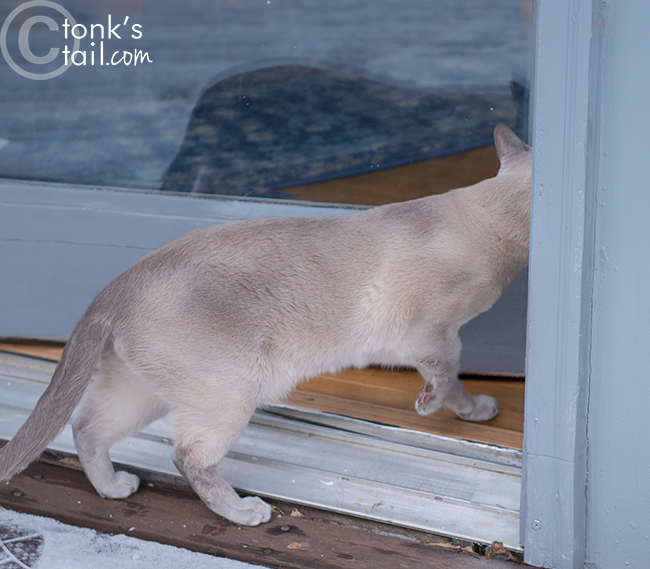 We love that you do the same walking on the door edges to avoid the snow like WE do! MOL!!!!!!!! Dash didn't like snow either!! You're very adventurous to go out in the snow. I've never seen snow but I think I'd prefer the warmz. 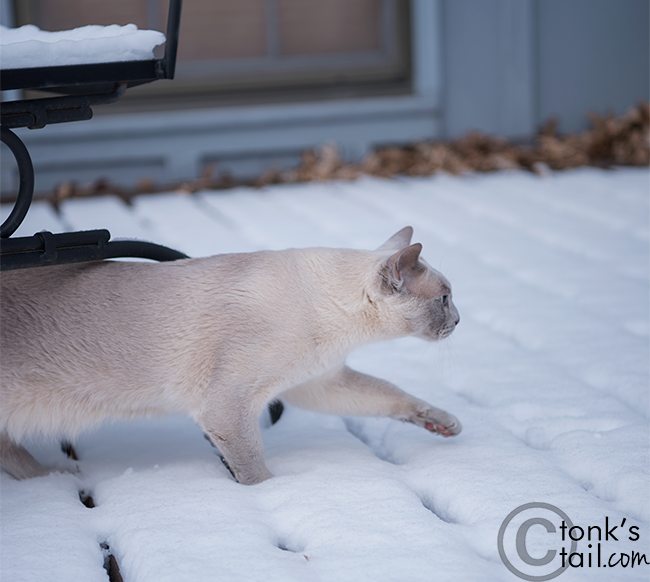 At least you got the chance to feel that cold white stuff under your toesies...I never have had even a chance...though one of my angel furblings did...he jumped right into huge drift...right up to his belly...and petcretary had to rescue him...so much for his escapade!